Excuse the bad pic from my i-phone, but I really love this picture of my hair! I'm sure we all can relate to finding strands of hair all over the bathroom sink or on the floor. I know for me, if I saw long strands of hair everywhere, I would freak out!!! Your hair should shed 50 to 100 strands on a daily basis. We shed hair because the hair follicle reaches a point of detachment from the bulb of the hair shaft and moves closer to the scalp, which causes the hair to fall out. No matter how annoying or frightening it can be, hair shedding is a part of life. Do keep in mind that there is one type of shedding you don't want to see, and that is the short hairs that look as though they have broken off from the end of the hair strand. Once you notice the short hairs, it's time to do something about breakage. How I can prevent Breakage? Reduce Stress: Exercising is very therapeutic and also good for your hair and body. Eat Healthier: Pack on the green veggies and water!! Also take your vitamins and eat enough protein! Protein Treatment: Protein can definitely help with the amount of shedding. 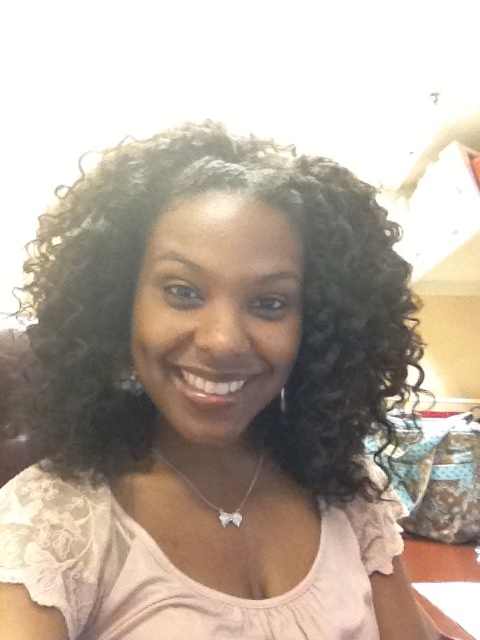 Try Keracare Super Reconstructor or Aubrey Organics GPB. Moisturize: I can't repeat this enough! Your hair loves to be moisturized, so please invest in a good creamy leave in conditioner. Keep it hydrated! Avoid Heat: I know we love straight hair, but your hair needs a break from heat.